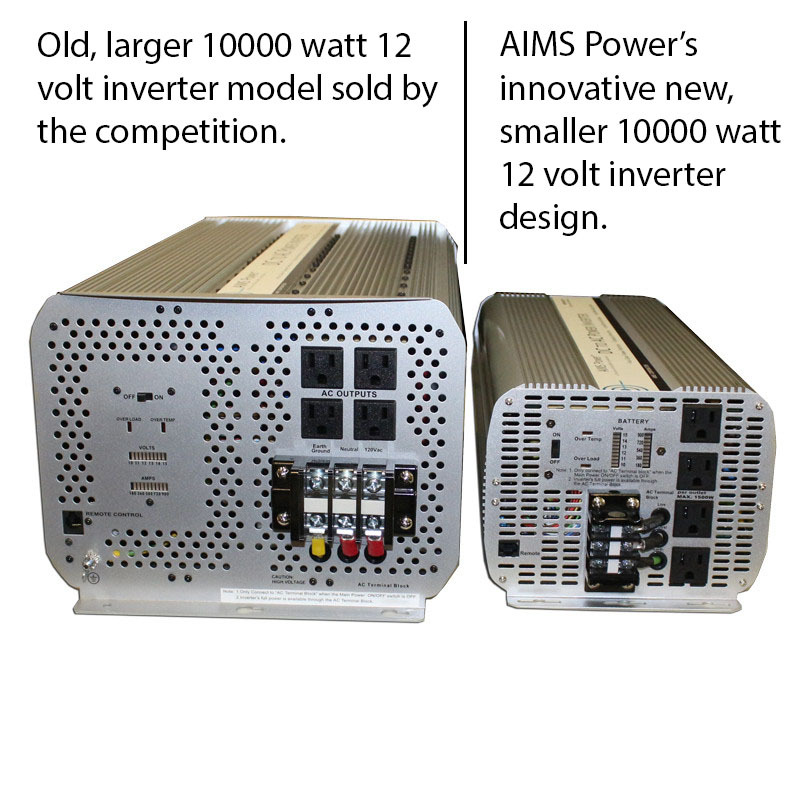 AIMS Power 10000 watt 12 volt modified sine inverter. The high wattage capacity of this inverter also makes it great for backup power systems at homes, offices or jobsites. In the event of a natural disaster or utility company power failure, this inverter has the capacity to power necessities, such as a water pump, until the situation is resolved. Generators are perfectly capable of supplying all the power needed to do everything stated above but do not, however, have the ability to do it quietly. Generators only have one volume: obnoxiously loud. 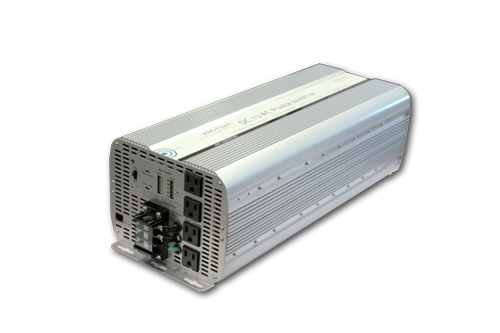 Inverters run off batteries instead of a motor, making for a much less noisy power solution. The downfall to batteries is that they need to be charged. Generators can be used to charge the batteries, using a charger that converts AC to DC, during the day and then the battery bank can handle the load at night so that it’s quiet enough to sleep. Then the lights will still be functional when getting up for that midnight snack or to use the restroom. You can also purchase a Vision battery bank from AIMS Power. Another problem with generators is that they pollute Earth. An alternate and more environmentally friendly solution to the noisiness of generators is to charge the battery bank using a solar panel system by AIMS Power. Though this requires a bit more of an initial investment, it pays for itself when you consider the 30 percent tax credit and ease of mind that’s received when installing an off-grid solar kit. A few 120 volt AIMS Power solar panels and an AIMS Power charge controller that funnels the power down to 12 volts can keep batteries charged constantly. So even if the system is left alone for months at a time, the charge controller will shut off automatically once batteries are fully charged to ensure they don’t boil. Once the batteries start to lose their charge over time, the charge controller will automatically kick back in to keep them fully charged. So no matter how long the system is left alone, batteries will always be ready to use upon arrival. A solar system with the 10 kilowatt 12 volt AIMS Power inverter as the backbone truly only requires the initial work put in and then sustains itself with little maintenance required thereafter. 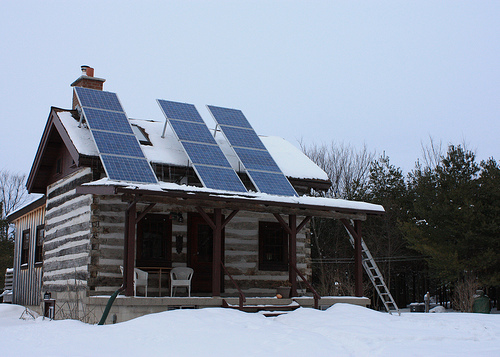 Just flip on a light at the cabin, and let the inverter do the rest of the work. 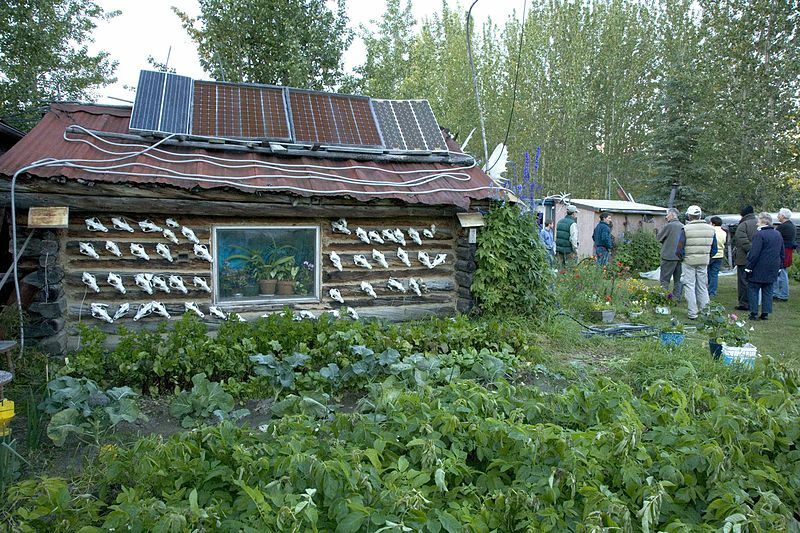 Going off grid has never been so easy. This entry was posted in Inverter FAQ, Inverters, Power Inverters and tagged 10 kilowatt, 10000 watt, 12 volt, AIMS Power, batteries, Cabin, DC to AC, Inverter, Inverter FAQ, inverters, Off grid, panels, solar by Eric Lee Castillo. Bookmark the permalink.